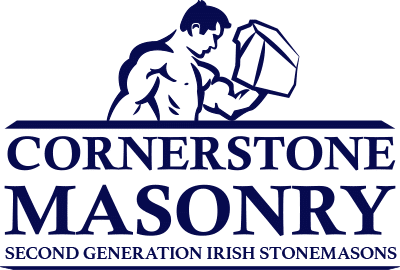 Cornerstone Masonry are the Auckland stonemasons with a rock-solid reputation! This team of three have been trained in Europe and New Zealand, and have decades of knowledge and experience. They are based in Auckland and work throughout the greater Auckland region, however they’re also available to work elsewhere in New Zealand. Cornerstone Masonry take pride in the quality of their work and are experienced in all types of stone, namely basalt, bluestone, split riverstone, limestone and schist. Cornerstone Masonry’s work is artistic, authentic and affordable, CALL US TODAY! Colin and Dommy are 2nd generation stonemasons and Josh has over 12 years experience in masonry, as well as landscaping work that often comes in handy. Have a look at some of the impressive work the Cornerstone Masonry team have done.